Not for Mothers Only collects poems on a range of subjects under the motherhood umbrella, some intimate and personal, others historical and political. 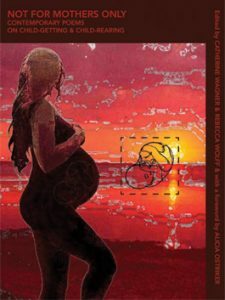 ““The poets in this anthology have been ravished, whacked, illuminated, blown away by the experience of motherhood. The thousand experiences. The thousand interruptions. The fact that it is never what we expected, and that it is overwhelmingly intense. The intensity of the poems here bespeaks both the power of maternity in bending us to its will, and the power of the artist to resist-while-submitting,” writes Alicia Ostriker. Rebecca Wolff notes “poets who are mothers” often get asked, “How has being a mother changed your writing?” Her own response is “brutally literal . . . pragmatic as a peanut-butter-and-jelly sandwich on allergen-free bread”: “My poems are a lot shorter now.” Learn more or purchase at fenceportal.org.